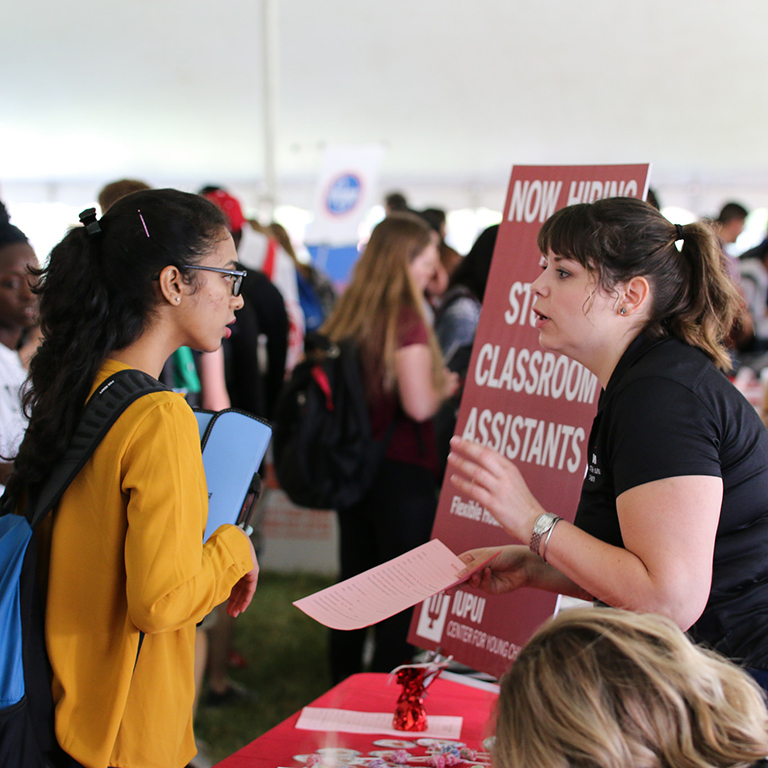 Student employee, Brianne Karazsia, planned and executed the IUPUI Part-Time Job Fair. Employer speaks with students at Part-Time Job Fair. Students inquire about a position at the Part-Time Job Fair. DJ plays music at Part-Time Job Fair. 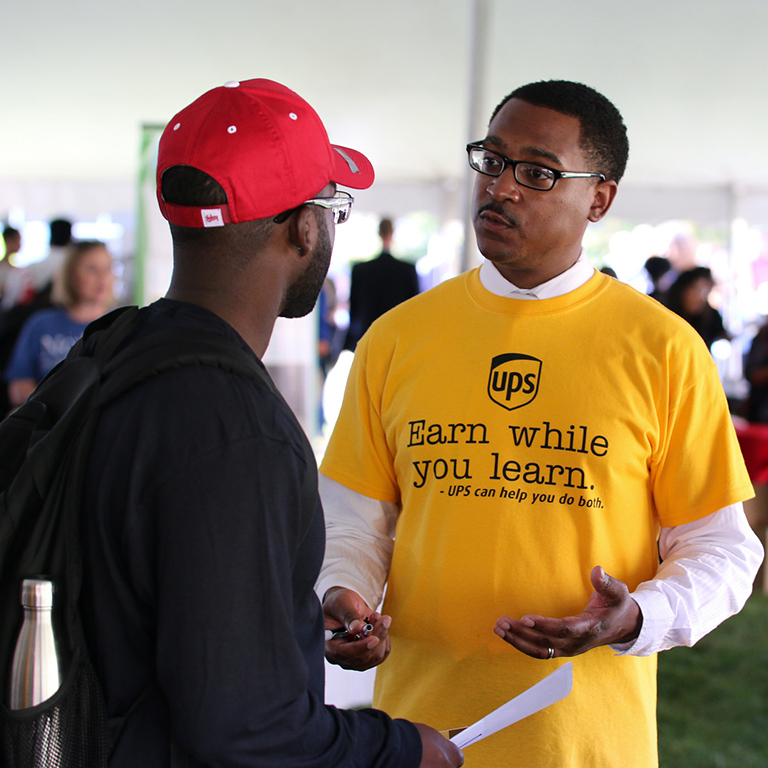 UPS employee speaks to interested student at Part-Time Job Fair. 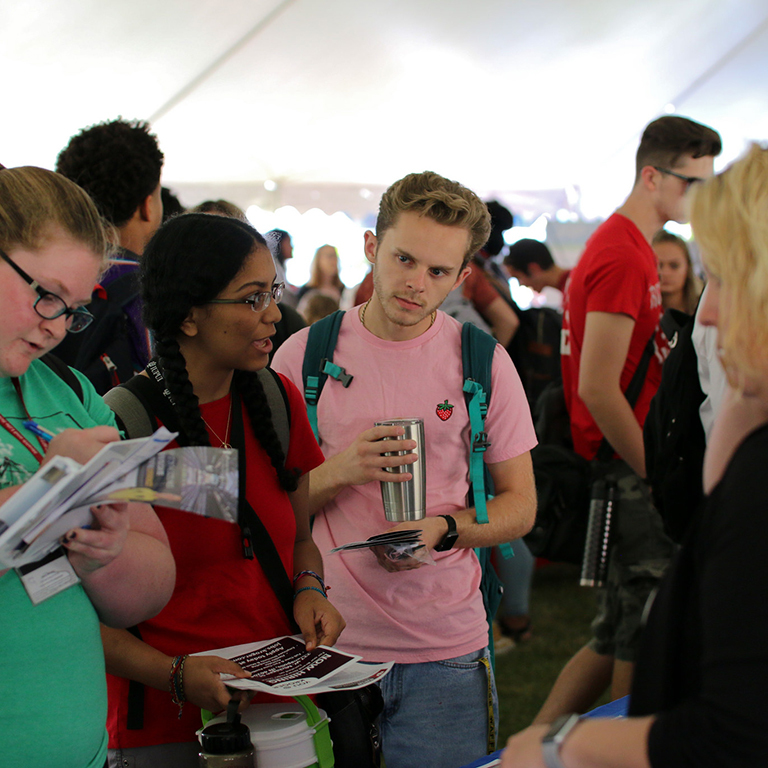 This year, Karazsia planned and executed the IUPUI Part-Time Job Fair, a task she tackled with the work ethic of a full-time employee. To paraphrase her supervisor, Karazsia crushed it. 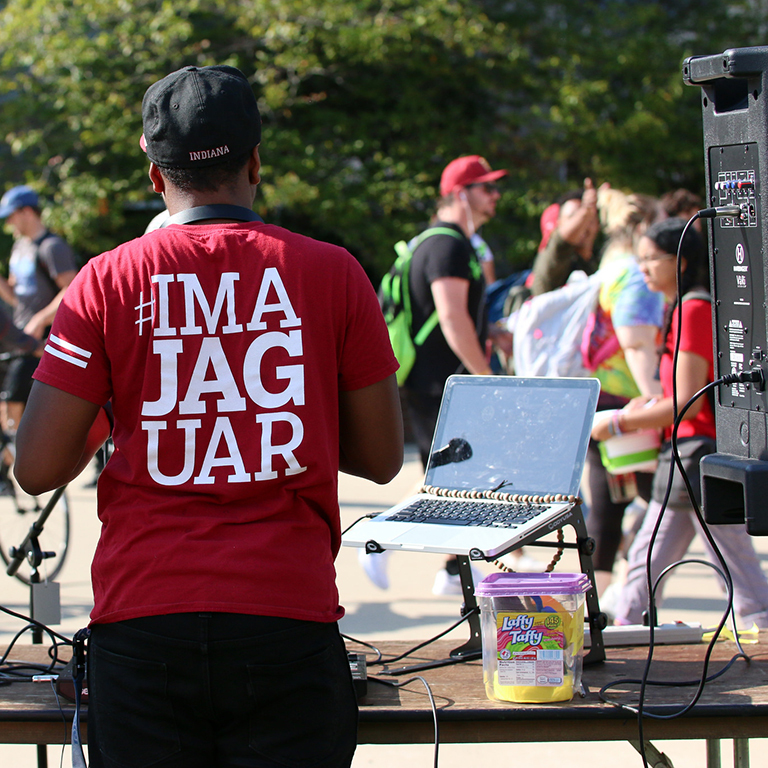 The event had 1,800 student attendees and raised several thousand dollars for the program, a large increase from last year’s event. In addition to her involvement with the Office of Student Employment, Karazsia has served on planning committees for Weeks of Welcome, Fall Career Week, and National Student Employee Appreciation Week. She also served as the event management intern for the Pass the Torch for Women Foundation. What do all of these activities have in common? They all provide intrinsically motivating factors to develop professionally. To Karazsia, there is nothing more motivating than the chance to work for an organization with a mission that aligns with her values. Brianne and mother, Kathy Karazsia, at a Michelle Obama event. A native of Linton, Indiana, Karazsia finds enjoyment in the unknown, seeking opportunities in various areas and disciplines as part of her love for the variety in life. 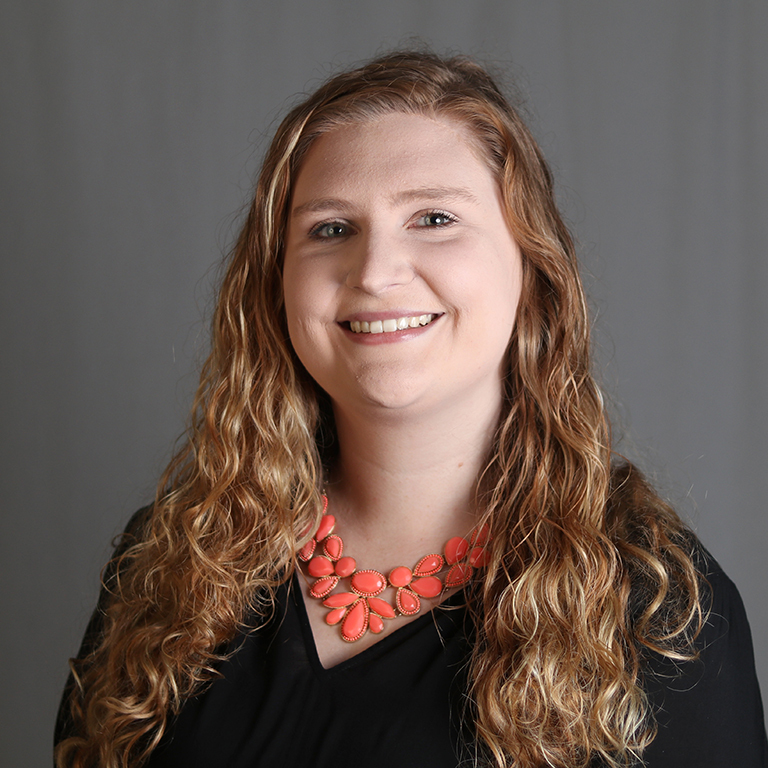 Her interest in event logistics and the behind-the-scenes aspects of an organization began in high school when she helped to organize her senior prom. 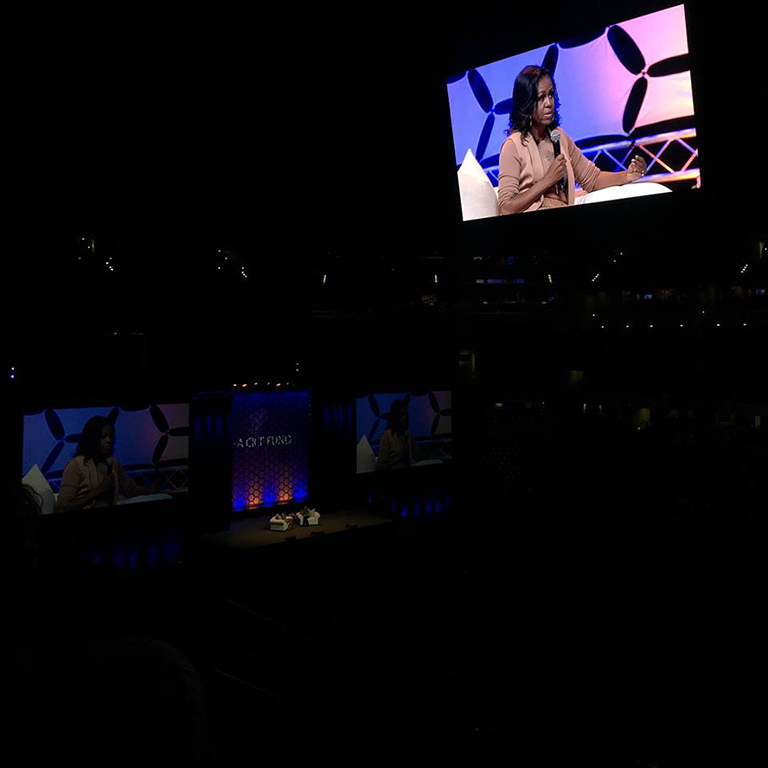 Michelle Obama speaks at Bankers Life Fieldhouse. With two parents working in education, Karazsia recognizes her family as her greatest support system while attending college. She also finds inspiration in the example of Michelle Obama, whom she recently saw at a speaking event in Indianapolis. Drawing on the strength of these motivators, Karazsia hopes to use her opportunities and experiences at IUPUI to lead a meaningful career in the nonprofit sector. If Karazsia’s past is any indication of her future, it doesn’t seem like this will be a problem. Sit down, Alicia Keys . . . there’s a new boss-lady in town.